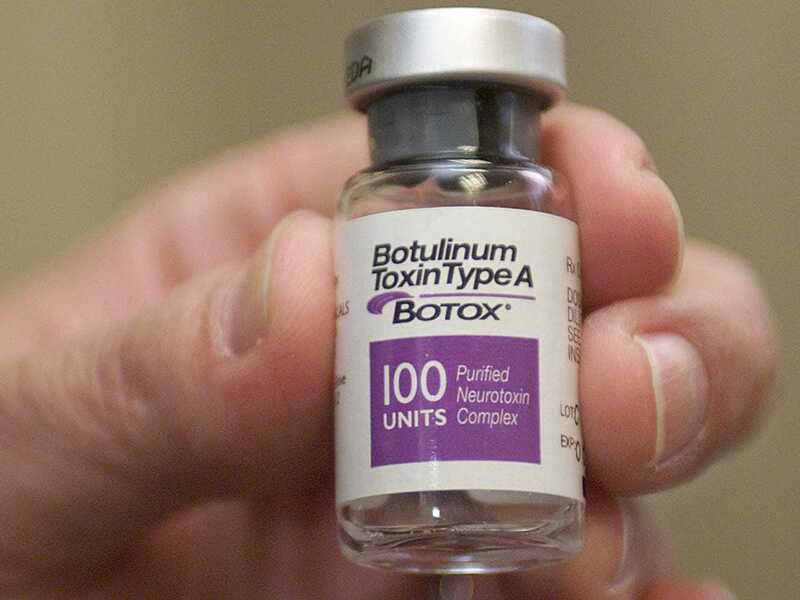 Irish pharmaceutical company Actavis will buy Allergan, the maker of Botox, for $US219 per share in cash and stock, the company said in a press release. Actavis’ CEO Brent Saunders will lead the company. The deal is valued at $US66 billion. For many months, Allergan had been fending off a hostile bid from Canadian pharmaceutical company Valeant and hedge fund manager Bill Ackman. DUBLIN and IRVINE, Calif., Nov. 17, 2014 /PRNewswire/ — Actavis plc (NYSE:ACT) and Allergan, Inc. (NYSE:AGN) today announced that they have entered into a definitive agreement under which Actavis will acquire Allergan for a combination of $US129.22 in cash and 0.3683 Actavis shares for each share of Allergan common stock. Based on the closing price of Actavis shares on November 14, 2014, the transaction is valued at approximately $US66 billion, or $US219 per Allergan share. The combination will create one of the top 10 global pharmaceutical companies by sales revenue, with combined annual pro forma revenues of more than $US23 billion anticipated in 2015. The transaction has been unanimously approved by the Boards of Directors of Actavis and Allergan, and is supported by the management teams of both companies. Actavis anticipates that the expected permanent financing structure, consisting of a combination of new equity and debt, will support an investment grade rating and provide long-term financing flexibility. “This acquisition creates the fastest growing and most dynamic growth pharmaceutical company in global healthcare, making us one of the world’s top 10 pharmaceutical companies,” said Brent Saunders, CEO and President of Actavis. “We will establish an unrivalled foundation for long-term growth, anchored by leading, world-class blockbuster franchises and a premier late-stage pipeline that will accelerate our commitment to build an exceptional, sustainable portfolio. The combined company will have a strong balance sheet, growing product portfolios and broad commercial reach extending across 100 international markets. Our combined experienced management team is dedicated to driving strong organic growth while capturing synergies and maintaining a robust investment in strategically focused R&D. The combined company will be led by Brent Saunders, CEO and President of Actavis, and Paul Bisaro will remain Executive Chairman of the Board. The integration of the two companies will be led by the senior management teams of both companies, with integration planning to begin immediately in order to transition rapidly to a single company. 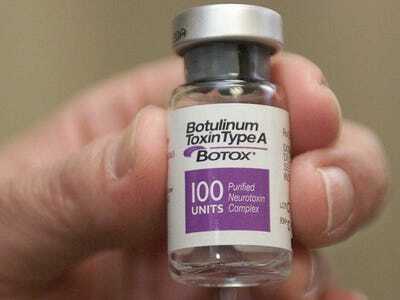 Additionally, two members of the Allergan Board of Directors will be invited to join the Actavis Board of Directors following the completion of the transaction. The growth profile of the combined pharmaceutical business will be unparalleled in the industry with the ability for double-digit revenue and earnings growth while maintaining investments to grow and develop our product portfolios and pipeline. The addition of Allergan’s portfolio, including multiple blockbuster therapeutic franchises, doubles the revenues of Actavis’ North American Specialty Brands business. On a pro forma basis for full year 2015, the combined company will have three blockbuster franchises each with annual revenues in excess of $US3 billion in Ophthalmology, Neurosciences/CNS and Medical Aesthetics/Dermatology/Plastic Surgery. The specialty product franchises in Gastroenterology, Cardiovascular, Women’s Health, Urology and Infectious Disease treatments will have combined revenues of approximately $US4 billion. Actavis projects that the transaction will generate at least $US1.8 billion in annual synergies commencing in 2016, in addition to the $US475 million of annual savings previously announced by Allergan in connection with Project Endurance. Actavis also plans to maintain annual R&D investment of approximately $US1.7 billion, ensuring the appropriate resource allocation to continue driving exceptional organic growth. Allergan’s blockbuster franchises in Ophthalmology, Neurosciences, and Medical Aesthetics/Dermatology/Plastic Surgery will complement Actavis’ existing blockbuster CNS, Gastroenterology and Women’s Health franchises to create a leading portfolio across a broad range of therapeutic areas. The companies’ combined U.S. sales force will have extraordinary marketing reach and increased relevance with more than a dozen medical specialists, including primary care physicians, ophthalmologists, optometrists, dermatologists, aesthetic physicians, plastic surgeons, neurologists, psychiatrists, infectious disease specialists, cardiologists, pulmonologists, gastroenterologists, OB-GYNs and urologists. The company will have approximately $US5 billion in pro forma 2015 international revenue. Together Actavis and Allergan will have a commercial presence across 100 markets, including an enhanced presence across Canada, Europe, Southeast Asia and Latin America and a strong footprint in China and India. The combined company will benefit from Allergan’s global brand equity, industry-leading consumer marketing capabilities and strong consumer awareness of key Allergan products, including BOTOX®. The combined company will have the unique opportunity to drive growth in international markets through its enhanced portfolio of brands, generics, branded-generic and over-the-counter products. The combined company will provide a strong commitment to R&D, with an exceptional level of annual investment of approximately $US1.7 billion, focused on the strategic development of innovative and durable value-enhancing products within brands, generics, biologics and OTC portfolios. The combination is expected to add approximately 15 projects in near- and mid-term development to Actavis’ robust development portfolio. Actavis anticipates that the permanent financing structure, expected to include a combination of equity and debt, will support an investment grade rating and provide long-term financing flexibility. Actavis expects to finance the cash portion of the consideration with a combination of new senior unsecured notes, term loans and equity securities. The company has committed bridge facilities from JP Morgan Chase Bank, N.A., Mizuho Bank and Wells Fargo and commitments to replace its existing facilities to the extent they are not amended to permit the acquisition and the related financing. The transaction is not subject to a financing condition. The transaction is subject to the approval of the shareholders of both companies, as well as customary antitrust clearance in the U.S., the EU and certain other jurisdictions, and is anticipated to close in the second quarter of 2015. J.P. Morgan is serving as exclusive financial advisor to Actavis and Cleary Gottlieb Steen & Hamilton LLP is serving as Actavis’ lead legal advisor. Goldman, Sachs & Co. and BofA Merrill Lynch are serving as financial advisors to Allergan. Latham & Watkins, Richards, Layton & Finger, P.A. and Wachtell, Lipton, Rosen & Katz are serving as legal counsel to Allergan.